Bring the stock to a boil. 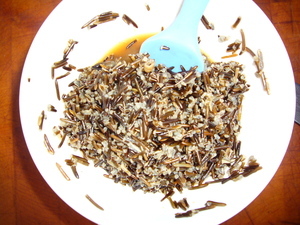 Season with salt and add the wild rice, reduce to a simmer and allow to cook for about 45 minutes or till tender. 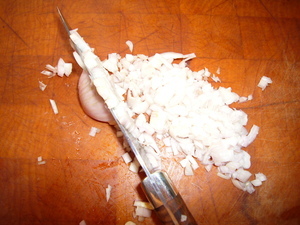 Finely mince the shallots and garlic. 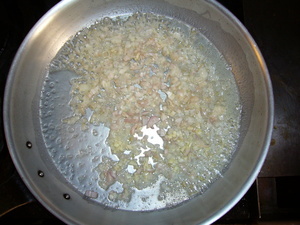 Melt butter over medium heat and add shallots and garlic. Cook till soft. 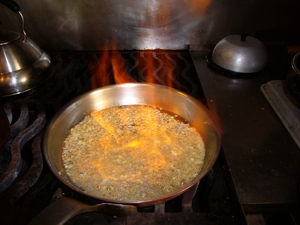 Carefully add the cognac and allow to flame up. add the wine,stock and salt and pepper to taste. 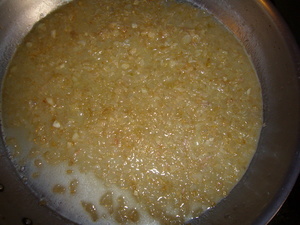 Simmer until liquids are absorbed by the rice and/or evaporated. 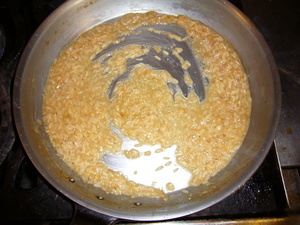 If rice isn't tender, add some more water and continue simmering till tender. 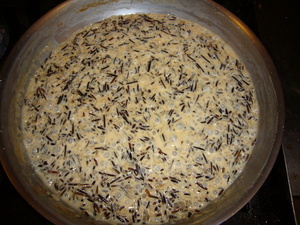 Add the reserved wild rice(with accumulated liquids) and the heavy cream. Bring to a slow boil. Allow to simmer for about 10 minutes. 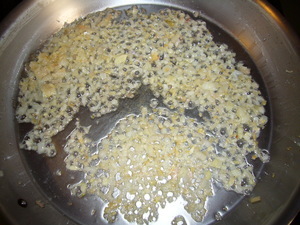 Adjust seasoning and remove from the heat. Allow to cool. 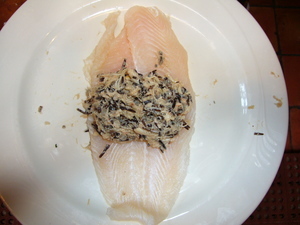 Layout a filet and season wth salt and pepper. Spoon some of the cooled filling onto the filet. 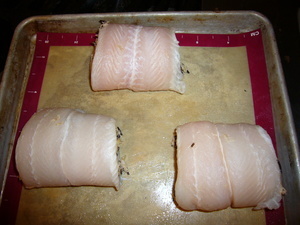 Compact the filling and roll up the filet, leaving the seam down. Place on a backing mat or parchment. 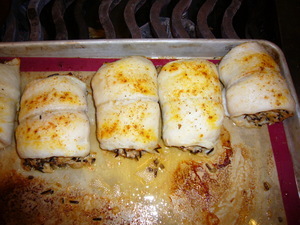 Baste tops of rolls with some butter, season with some paprika if desired. Bake in a preheated oven at 350F for about 20 minutes or till center of roll reads 120 on an instant read thermometer. 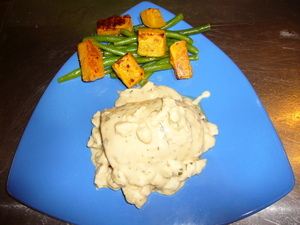 Serve with a cream sauce. Here, I made a tarragon cream sauce, and added some lump crab.